Barr under fire for news conference that was a boon for Trump, and often featured one of his preferred terms — Flanked by two deputies, Attorney General William P. Barr stepped to a microphone on the Justice Department's seventh floor Thursday and spoke in the language of the president who appointed him to the job. When Trump won, Putin deployed his oligarchs — In December 2016, a few weeks after Donald Trump's surprise election victory, Russian president Vladimir Putin convened what a Russian oligarch described as an “all-hands” meeting with some of his country's top businessmen. A Portrait of the White House and Its Culture of Dishonesty — WASHINGTON — As President Trump met with advisers in the Oval Office in May 2017 to discuss replacements for the F.B.I. director he had just fired, Attorney General Jeff Sessions slipped out of the room to take a call. Kodak Black was released from Niagara County Jail in upstate New York on Thursday afternoon, less than 24 hours after he was caught with marijuana and a loaded gun at the United States-Canada border. SEBASTIAN SHAKESPEARE: More top tips from the Duchess of Cambridge's sister Pippa Middleton — this time about child rearing and using swimming to help your baby sleep. To paraphrase Mary Katharine Ham (who I wrote about earlier), Democrats and the media set the bar at collusion/conspiracy. It wasn’t there. That’s the bottom line we should be focused on after two years of flogging this claim. The post Boom! 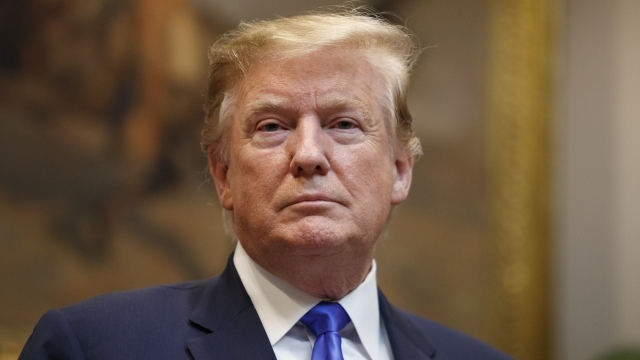 The collusion conspiracy theory has been obliterated by the Mueller report appeared first on Hot Air. On Thursday, MSNBC's Brian Williams attempted to poke holes in Attorney General William Barr's summary of the newly released redacted report by Special Counsel Robert Mueller. After inviting on Donald Trump's attorney Jay Sekulow, Williams suggested that Barr misled the public by concluding that Mueller's report found "no collusion" between the Trump campaign and the Russian government in election interference. President Donald Trump answered written questions from special counsel Robert Mueller in lieu of an in-person interview. After Mueller's report was released Thursday, we dug through the president's responses and found many of his answers were things we already knew. Mueller's written questions are divided into four sections: the June 9, 2016 meeting at Trump Tower; Russian hacking efforts and attempts to influence the election using social media and WikiLeaks; the Trump Organization Moscow project; and contacts with Russia during the campaign. Let's get into it. In the first section, Mueller asks the president what he knew about the June 9, 2016 Trump Tower meeting about Hillary Clinton's emails that involved Russian nationals. President Trump said he had "no recollection" of Donald Trump Jr., Paul Manafort or Jared Kushner participating in the meeting and that he didn't know during his campaign that the meeting took place. We've seen his response before; on July 27, 2018, President Trump tweeted, "I did NOT know of the meeting with my son, Don jr."
Mueller also asked about remarks the president made at the Trump National Golf Club on June 7, 2016, just days before the Trump Tower meeting took place. President Trump told Mueller he didn't know about the upcoming meeting, but part of his speech raised questions about that. He said: "I am going to give a major speech on probably Monday of next week, and we're going to be discussing all of the things that have taken place with the Clintons." In his written response to Mueller, President Trump said he meant he was going to talk about Hillary Clinton's failed policies, her "improper use of a private server for the State Department business, the destruction of 33,000 emails on that server" and other things that were "publicly available." This part is new — before the release of his responses, we didn't know what the president meant by "discussing all of the things that have taken place with the Clintons." When Mueller asked the president about "Russian hacking, Russian efforts using social media and WikiLeaks," he replied that he "had no knowledge" of Manafort "offering briefings on the progress" of his campaign to a Russian oligarch. President Trump told Mueller that Manafort was "primarily" hired because of his work with several past presidential candidates. On Jan. 11, 2017, in his first press conference since winning the 2016 election, President Trump said he had no business dealings with Russia. The fact that Mueller didn't get to actually interview President Trump was widely criticized, and in his report, Mueller acknowledges his team found the written answers "inadequate." Ultimately, though, the special counsel's team decided not to subpoena the president for an interview, saying they were able to "draw relevant factual conclusions" from other sources.